To provide healthcare and education to poor and needy persons afflicted with diseases of poverty (tuberculosis, HIV and pneumonia). Educating people about diseases of poverty (TB, HIV and pneumonia) including the dissemination of knowledge within their communities. Assisting patients with treatment failure and drug-resistant tuberculosis who have been discharged from hospitals to reduce the risk of transmission to others living in close proximity. The establishment of a hospice-type (palliative) care facility for treatment failures and drug-resistant TB patients who have been discharged from hospital and whose home situation is such that there is a high risk of TB transmission to others living in the same home. Provision of newer TB and HIV diagnostic tools to streamline detection when these are unavailable and/ or inaccessible. We also facilitate extended drug sensitivity testing for destitute drug-resistant TB patients, in order to develop a salvage regimen (especially, when such tests are unavailable in the public sector). Facilitating active case finding of community-based TB cases using novel and portable molecular approaches. Promoting advocacy and education about diseases of poverty. Facilitating innovative approaches to case detection through HIV self-testing. Free of TB is and NPO aimed at raising funds to fight diseases of poverty in South Africa. We would appreciate any donations. Our tax-exempt PBO registration number is 930049193, which means your donations are tax deductible. We will provide a tax receipt for donations. Tuberculosis (TB) is a major global health problem and the biggest historical killer of mankind. It has caused almost a billion deaths in the last 2 centuries and killed more people historically that all the wars (ever fought) combined. It is far from eradicated, causes ill-health amongst millions of people each year, and is now the leading infectious cause of death worldwide. 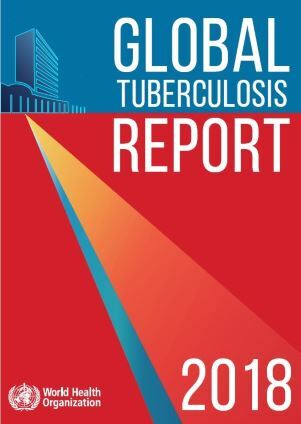 In 2017, there were an estimated 10 million TB cases globally: 5.8 million among men, 3.2 million among women, and 1.0 million among children. 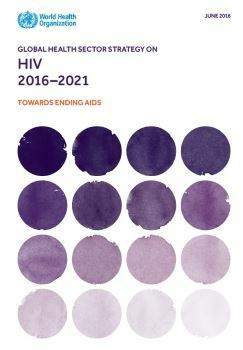 There were also 1.6 million TB deaths (1.3 million among HIV-uninfected people and 0.3 million among HIV-infected people). 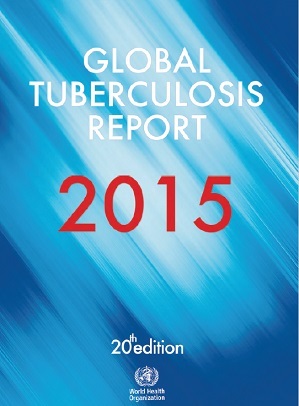 The number of TB deaths is unacceptably high given that the disease is curable. 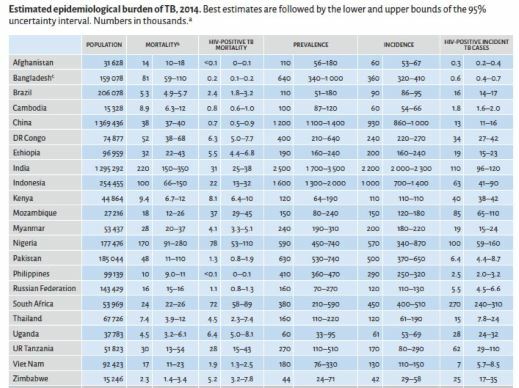 TB together with HIV and pneumonia features on the WHO top 10 killer diseases list. The 2017 incidence of TB in SA was 850 cases per 100 000 people (the highest in the world). 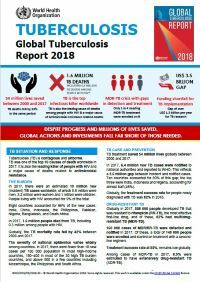 TB was the commonest cause of death in 2018 in South Africa. Approximately 450 000 people are treated for TB in South Africa annually (± 150 000 to 200 000 of these cases remain undiagnosed). 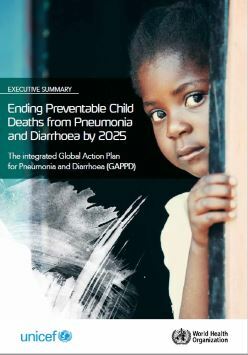 Drug resistant TB threatens to further destabilise the already poor control of TB worldwide. 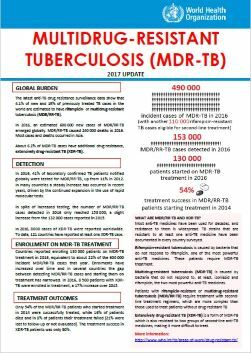 In 2017, there was an estimated 558 000 (range 483 000-639 000) new cases of MDR-TB worldwide, and approximately 200 000 deaths from MDR-TB. Drug resistant TB consumes almost half of the entire South African TB budget. Although 2 new TB drugs are now available up to a third of patients still have a poor outcome. 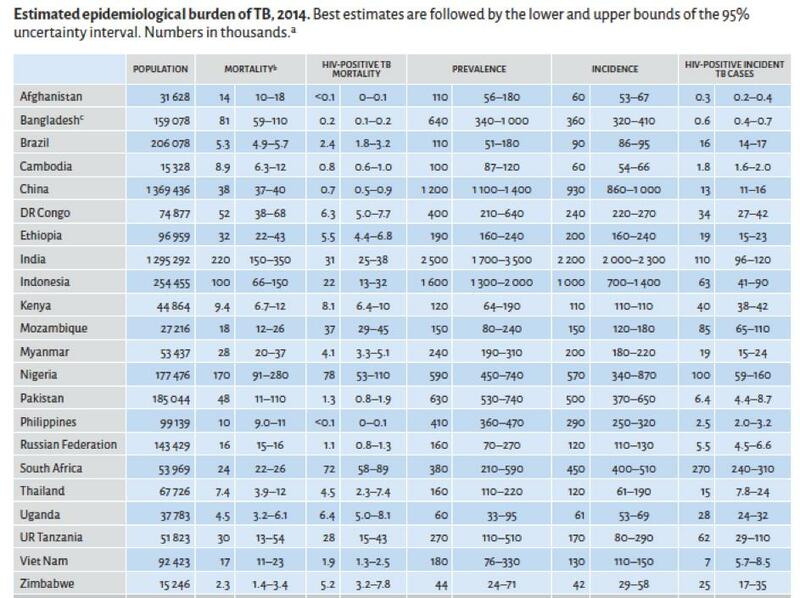 Thus, many cases of drug resistant TB are near incurable. Dheda K, Gumbo T, Gandhi NR, Murray M, Theron G, Udwadia Z, Migliori GB, Warren R.
Outcomes, infectiousness, and transmission dynamics of patients with extensively drug-resistant tuberculosis and home-discharged patients with programmatically incurable tuberculosis: a prospective cohort study. Dheda K, Limberis JD, Pietersen E, Phelan J, Esmail A, Lesosky M, Fennelly KP, Te Riele J, Mastrapa B, Streicher EM, Dolby T, Abdallah AM, Ben-Rached F, Simpson J, Smith L, Gumbo T, van Helden P, Sirgel FA, McNerney R, Theron G, Pain A, Clark TG, Warren RM. Long-term outcomes of patients with extensively drug-resistant tuberculosis in South Africa: a cohort study. Pietersen E, Ignatius E, Streicher EM, Mastrapa B, Padanilam X, Pooran A, Badri M, Lesosky M, van Helden P, Sirgel FA, Warren R, Dheda K.
Lancet. 2014 Apr 5;383(9924):1230-9. doi: 10.1016/S0140-6736(13)62675-6. Epub 2014 Jan 17. Theron G, Zijenah L, Chanda D, Clowes P, Rachow A, Lesosky M, Bara W, Mungofa S, Pai M, Hoelscher M, Dowdy D, Pym A, Mwaba P, Mason P, Peter J, Dheda K; TB-NEAT team..
Lancet. 2014 Feb 1;383(9915):424-35. doi: 10.1016/S0140-6736(13)62073-5. Epub 2013 Oct 28. Peter JG, Zijenah LS, Chanda D, Clowes P, Lesosky M, Gina P, Mehta N, Calligaro G, Lombard CJ, Kadzirange G, Bandason T, Chansa A, Liusha N, Mangu C, Mtafya B, Msila H, Rachow A, Hoelscher M, Mwaba P, Theron G, Dheda K.
The global rise of extensively drug-resistant tuberculosis: is the time to bring back sanatoria now overdue? Dheda K, Barry CE 3rd, Maartens G.
Lancet. 2016 Mar 19;387(10024):1211-26. doi: 10.1016/S0140-6736(15)00151-8. Epub 2015 Sep 13. Review. Erratum in: Lancet. 2016 Mar 19;387(10024):1162. Lancet. 2016 May 21;387(10033):2092. Lancet. 2016 Mar 19;387(10024):1162. Gandhi NR, Nunn P, Dheda K, Schaaf HS, Zignol M, van Soolingen D, Jensen P, Bayona J.
Olayanju O, Limberis J, Esmail A, Oelofse S, Gina P, Pietersen E, Fadul M, Warren R, Dheda K.
Estimated Epidemiological burden of TB in 2015.
WHO 2018 TB Fact sheet. Keertan Dheda is Professor of Respiratory Medicine, and Head of the Division of Pulmonology at the University of Cape Town. His research work focuses on the epidemiology, diagnosis, transmission, and treatment of TB. He is a National Research Foundation A-rated scientist (H index = 63 as at December 2018) and has published over 250 peer-reviewed papers including 4 first or senior author original publications in The Lancet. He has been the recipient of several prestigious awards including the International Union Against Tuberculosis and Lung Disease Scientific Award and the Oppenheimer Award. He serves on the editorial board of several journals including the American Journal of Respiratory and Critical Medicine, and Lancet Respiratory Diseases amongst others. He holds 5 patents related to new TB control technologies. 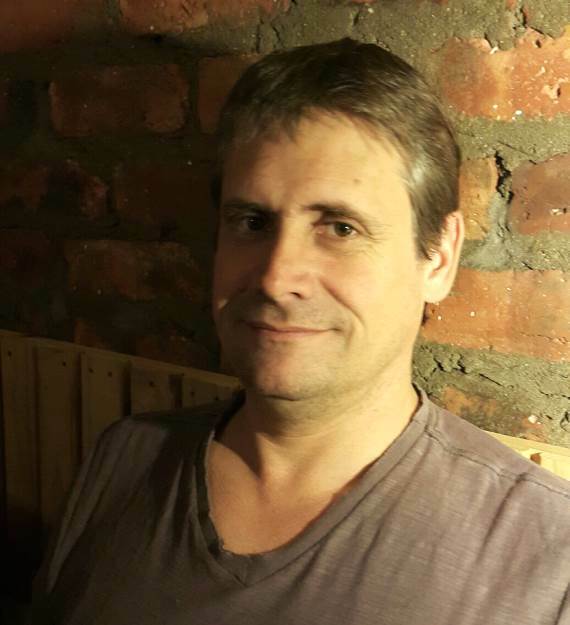 He serves on several national and international academic and advisory bodies and is the current president of the South African Thoracic Society. 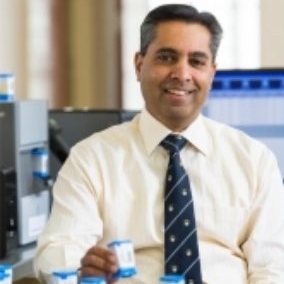 See WIKIPAGE (https://en.wikipedia.org/wiki/Keertan_Dheda) and UCT Lung Institute Research Unit site (https://lunginstitute.co.za/) for further details. Dr Te Riele (Family Physician at Brooklyn Chest Hospital and Clinical Manager, Metro TB Hospital Complex, University of Cape Town) has extensive experience in managing complex TB cases. His research work highlighted the relationship between radiological disease extent and outcomes in drug resistant TB. He serves on several advisory committees including the South African DR-TB Guideline committee. Ms Fawziyah Thompson is a TB advocate and research scientist currently working on several aspects of TB including the development of a controlled human infection model for TB that will facilitate vaccine development.